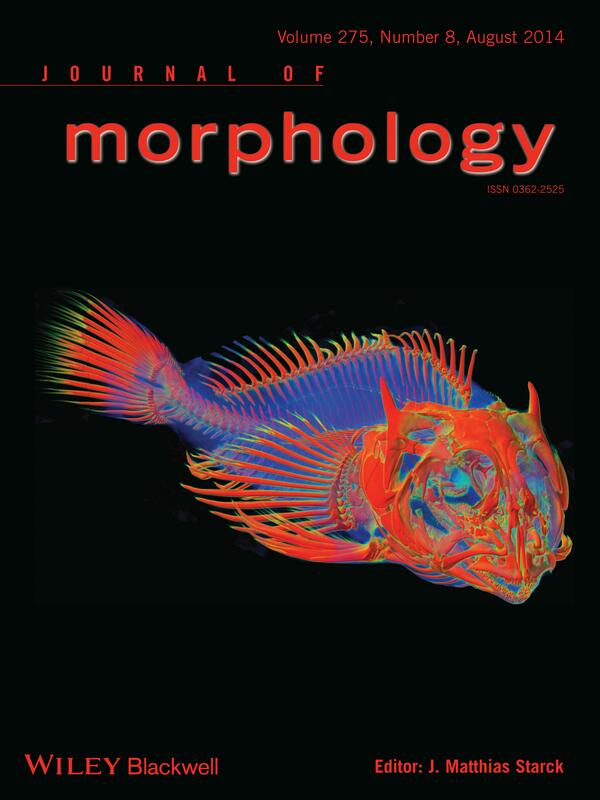 Research Statement WitmerLab at Ohio University explores the functional morphology of vertebrates. A major focus has been the soft tissues of the heads of dinosaurs, and so, vertebrate paleontology is an important activity. But, since fossils tend to preserve only bones and teeth, we also study modern-day animals. 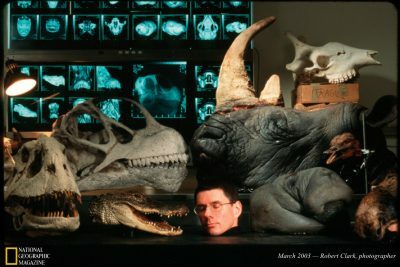 As a result, our projects are diverse, ranging from studies of the nasal apparatus of Diplodocus to the brain and ear of T. rex to the horns of rhinos to the airflow in alligator heads, and so on. We use traditional techniques, as well as the latest in high-tech imaging and 3D visualization. Anatomy is our stock-in-trade, because anatomical details record the evolution of adaptation. Their study provides a better understanding of the vertebrate head: how it works—from physiology to biomechanics—and how it evolves. • PDF: Snively, E. D., H. O'Brien, D. M. Henderson, H. Mallison, L. A. Surring, M. E. Burns, T. R. Holtz, Jr., A. P. Russell, L. M. Witmer, P. J. Currie, S. A. Hartman, and J. R. Cotton. 2019. Lower rotational inertia and larger leg muscles indicate more rapid turns in tyrannosaurids than in other large theropods. PeerJ 7:e6432 https://doi.org/10.7717/peerj.6432. • PDF: Bourke, J. M., W. R. Porter, and L. M. Witmer. 2018. Convoluted nasal passages function as efficient heat exchangers in ankylosaurs (Dinosauria: Ornithischia: Thyreophora). PLOS ONE 13(12): e0207381. • Project Page with Common Language Summary, images, GIF, movie, 3D-PDFs, etc. • Tsuihiji, T., L. M. Witmer, M. Watabe, R. Barsbold, K. Tsogtbaatar, S. Suzuki, and P. Khatanbaatar. 2017. 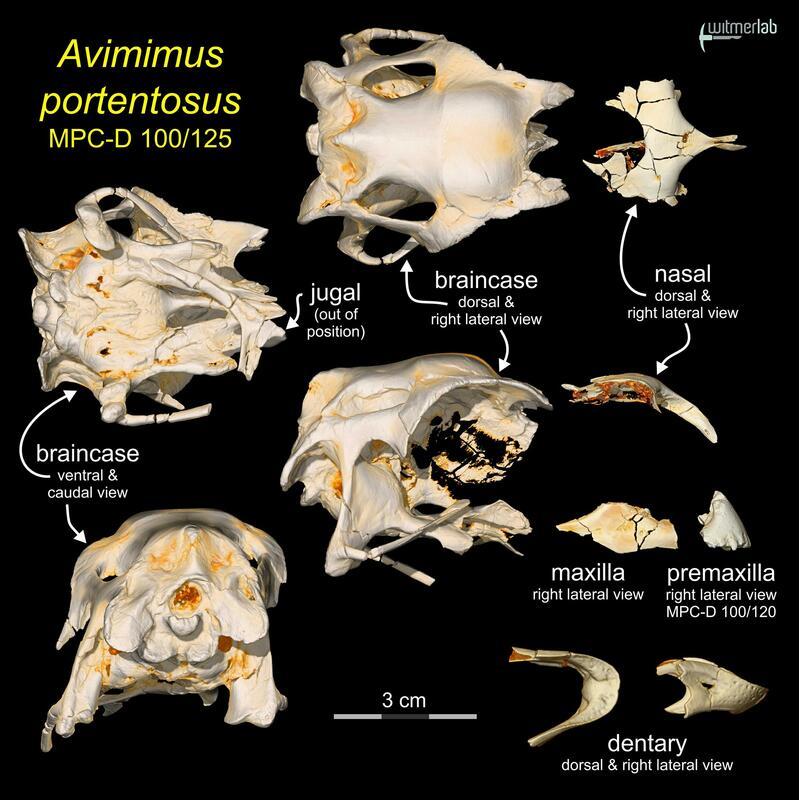 New information on the cranial morphology of Avimimus (Theropoda: Oviraptorosauria). Journal of Vertebrate Paleontology e1347177 (12 pages). DOI: 10.1080/02724634.2017.1347177. • Davies, T. G., I. A. Rahman, S. Lautenschlager, J. A. Cunningham, R. J. Asher, P. M. Barrett, K. T. Bates, S. Bengtson, R. B. J. Benson, D. M. Boyer, J. Braga, J. A. Bright, L. P.A.M. Claessens, P. G. Cox, X.-P. Dong, A. R. Evans, P. L. Falkingham, M. Friedman, R. J. Garwood, A. Goswami, J. R. Hutchinson, N. S. Jeffery, Z. Johanson, R. Lebrun, C. Martínez-Pérez, J. Marugán-Lobón, P. M. O’Higgins, B. Metscher, M. Orliac, T. B. Rowe, M. Rücklin, M. R. Sánchez-Villagra, N. H. Shubin, S. Y. Smith, J. M. Starck, C. Stringer, A. P. Summers, M. D. Sutton, S. A. Walsh, V. Weisbecker, L. M. Witmer, S. Wroe, Z. Yin1, E. J. Rayfield, and P. C. J. Donoghue. 2017. Open data and digital morphology. Proceedings of the Royal Society B 284: 20170194. • Bailleul, A. M., L. M. Witmer, and C. M. Holliday. 2017. 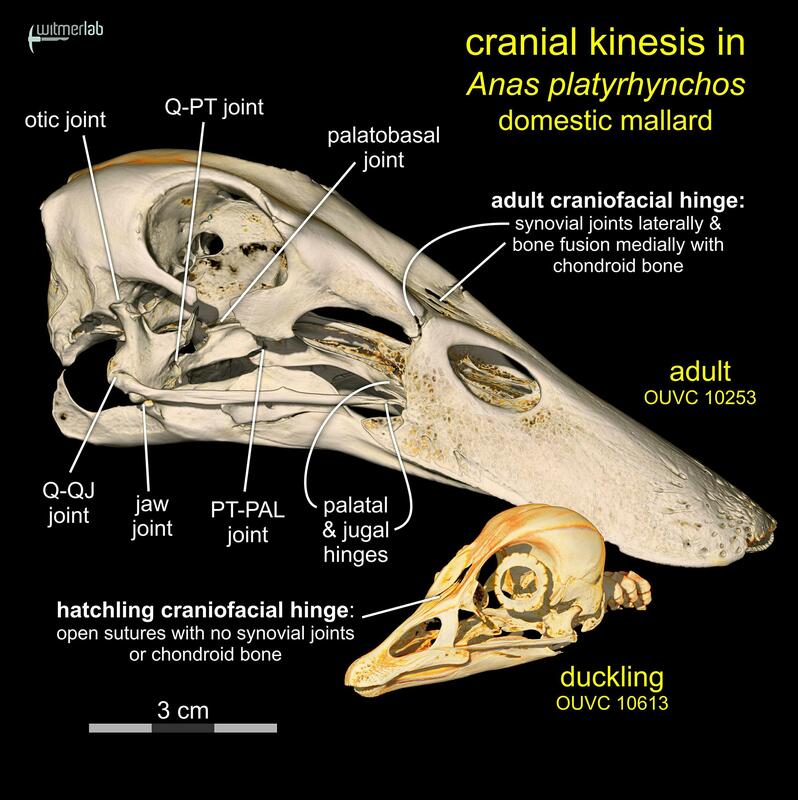 Cranial joint histology in the mallard duck (Anas platyrhynchos): new insights on avian cranial kinesis. Journal of Anatomy 230:444–460. • Brusatte, S. L., A. Muir, M. T. Young, S. Walsh, L. Steel, and L. M. Witmer. 2016. 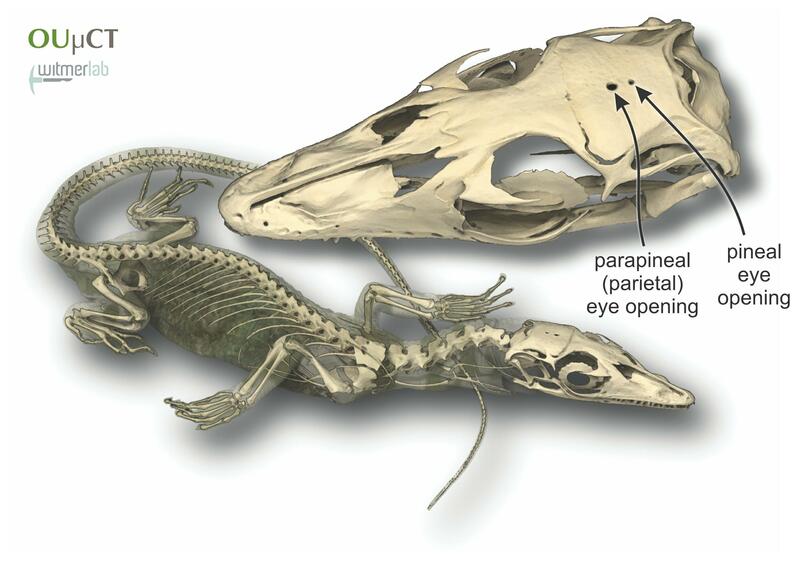 The braincase and neurosensory anatomy of an Early Jurassic marine crocodylomorph: implications for crocodylian sinus evolution and sensory transitions. Anatomical Record 299:1511–1530. DOI: 10.1002/ar.2346. • Stocker, M. R., S. J. Nesbitt, K. E. Criswell, W. G. Parker, L. M. Witmer, T. B. Rowe, R. C. Ridgely, and M. A. Brown. 2016. A dome-headed stem-archosaur exemplifies convergence among dinosaurs and their distant relatives. Current Biology 26:2676–2680. http://dx.doi.org/10.1016/j.cub.2016.07.066. • Bourke, J. M., and L. M. Witmer. 2016. Nasal conchae function as aerodynamic baffles: Experimental computational fluid dynamic analysis in a turkey nose (Aves: Galliformes). Respiratory Physiology & Neurobiology 234:32–46. • Martínez, R. D. F., M. C. Lamanna, F. E. Novas, R. C. Ridgely, G. A. Casal, J. Martínez, J. R. Vita, and L. M. Witmer. 2016. A basal lithostrotian titanosaur (Dinosauria: Sauropoda) with a complete skull: Implications for the evolution and paleobiology of Titanosauria. PLoS ONE 11(4): e0151661. doi:10.1371/journal.pone.0151661. • Gignac, P. M., N. J. Kley, J. A. Clarke, M. W. Colbert, A. C. Morhardt, D. Cerio, I. N. Cost, P. G. Cox, J. D. Daza, C. M. Early, M. S. Echols, R. M. Henkelman, A. N. Herdina, C. M. Holliday, Z. Li, K. Mahlow, S. Merchant, J. Müller, C. P. Orsbon, D. J. Paluh. M. L. Thies, H. P. Tsai, and L. M. Witmer. 2016. Diffusible iodine-based contrast-enhanced computed tomography (diceCT): an emerging tool for rapid, high-resolution, 3-D imaging of metazoan soft tissues. Journal of Anatomy 228(6):889–909. doi: 10.1111/joa.12449. • O’Brien, H. D., P. M. Gignac, T. L. Hieronymus, and L. M. Witmer. 2016. A comparison of postnatal arterial patterns in a growth series of giraffe (Artiodactyla: Giraffa camelopardalis). PeerJ 4:e1696; DOI 10.7717/peerj.1696. • Porro, L. B., L. M. Witmer, and P. M. Barrett. 2015. Digital preparation and osteology of the skull of Lesothosaurus diagnosticus (Ornithischia: Dinosauria). PeerJ 3:e1494 https://doi.org/10.7717/peerj.1494. • View a 3D interactive Sketchfab animation of the skull, brain endocast, inner ear, etc. • Porter, W. R. and L. M. Witmer. 2015. 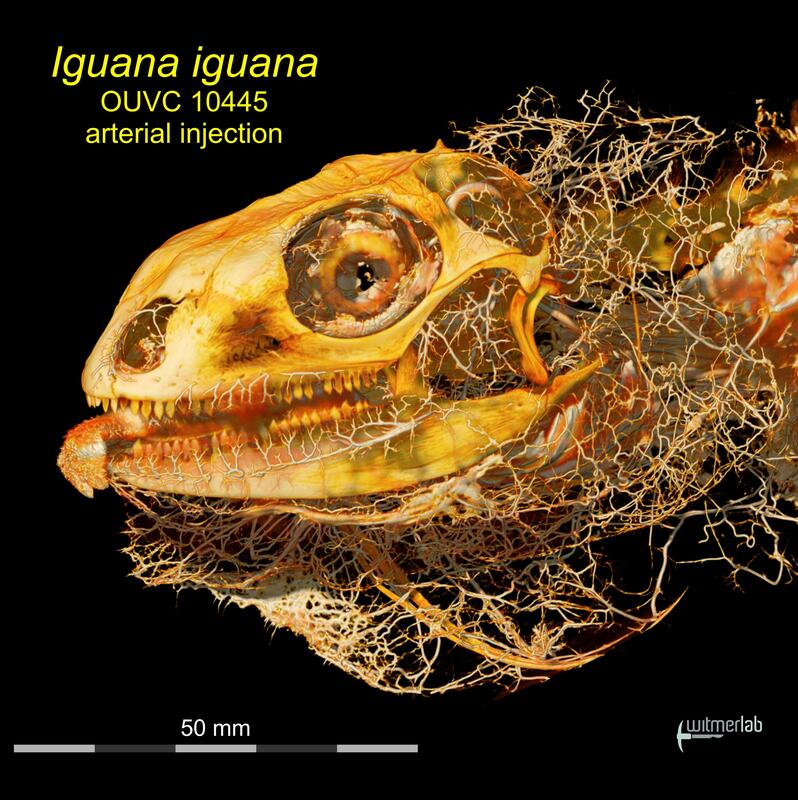 Vascular patterns in iguanas and other squamates: blood vessels and sites of thermal exchange. PLOS ONE 10(10): e0139215. doi:10.1371/journal.pone.0139215. • DICOM data download on Dryad. • Balanoff, A. M., G. S. Bever, M. Colbert, J. A. Clark, D. Field, P. M. Gignac, D. T. Ksepka, R. C. Ridgely, N. A. Smith, C. Torres, S. Walsh, and L. M. Witmer. 2015. Best practices for digitally constructing endocranial casts: examples from birds and their dinosaurian relatives. Journal of Anatomy. doi: 10.1111/joa.12378. • Dufeau, D. L., and L. M. Witmer. 2015. 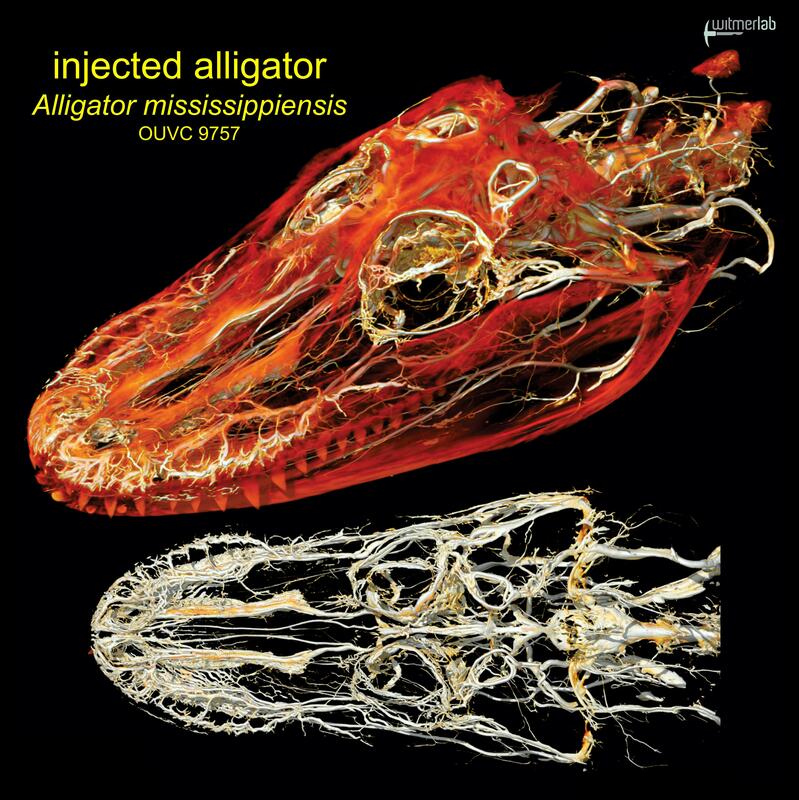 Ontogeny of the middle-ear air-sinus system in Alligator mississippiensis (Archosauria: Crocodylia). PLOS ONE 10(9): e0137060. doi:10.1371/journal. pone.0137060E. • DICOM data download for OUVC 10606 on Dryad. • Sues, H.-D., A. O. Averianov, R. C. Ridgely, and L. M. Witmer. 2015. Titanosauria (Dinosauria, Sauropoda) from the Upper Cretaceous Bissekty Formation of Uzbekistan. Journal of Vertebrate Paleontology 35(1):e889145-1–e889145-14. • Download a 3D PDF of the braincase, brain endocast, and labyrinth: small (5 MB), medium (16 MB), large (30 MB) Note: save 3D PDFs to your computer before running. • Lautenschlager, S., L. M. Witmer, Perle A., L. E. Zanno, and E. J. Rayfield. 2014. Cranial anatomy of Erlikosaurus andrewsi (Dinosauria, Therizinosauria): new insights based on digital reconstruction. Journal of Vertebrate Paleontology 34(6):1263–1291. • Bourke, J. M., Wm. R. Porter, R. C. Ridgely, T. R. Lyson, E. R. Schachner, P. R. Bell, and L. M. Witmer. 2014. Breathing life into dinosaurs: tackling challenges of soft-tissue restoration and nasal airflow in extinct species. Anatomical Record 297:2148–2186. • Check out the Project Page for more images, movies, PDFs downloads, and the news release. 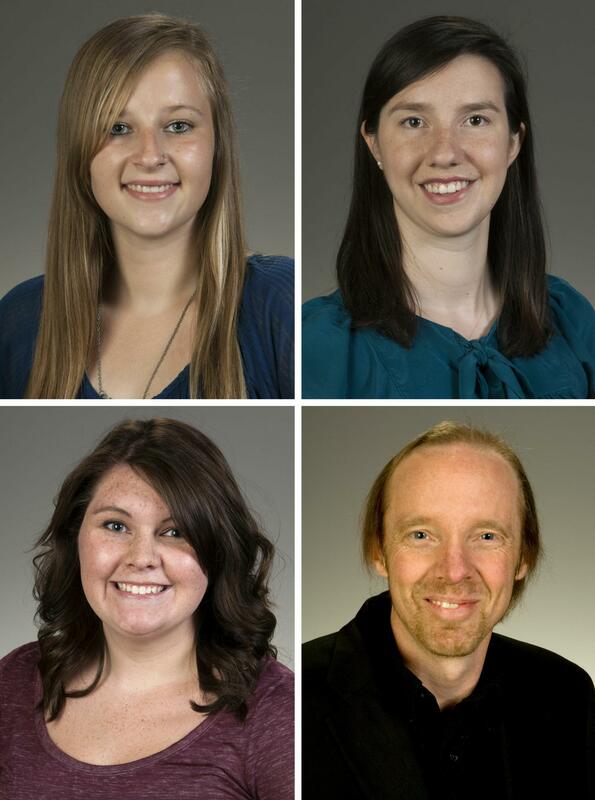 • download the article on OU's site: Eastman, J. T., L. M. Witmer, R. C. Ridgely, and K. L. Kuhn. 2014. Divergence in skeletal mass and bone morphology in Antarctic notothenioid fishes. Journal of Morphology 275:841–861. DOI 10.1002/jmor.20258. • download the article on OU's site: Lautenschlager, S., L. M. Witmer, Perle A., and E. J. Rayfield. 2013. 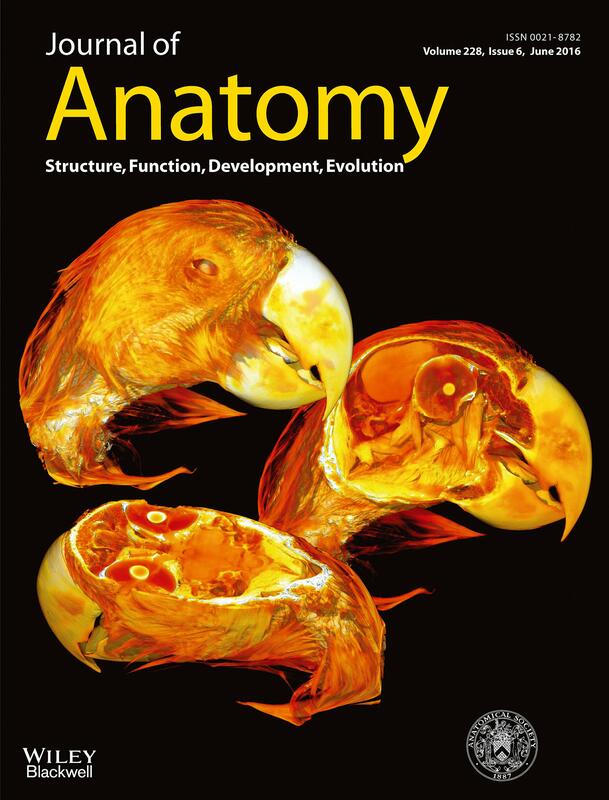 Edentulism, beaks, and biomechanical innovations in the evolution of theropod dinosaurs. Proceedings of the National Academy of Sciences 110:20657–20662. doi:10.1073/pnas.1310711110. • Hurlburt, G. R., R. C. Ridgely, and L. M. Witmer. 2013. Relative size of brain and cerebrum in tyrannosaurid dinosaurs: an analysis using brain-endocast quantitative relationships in extant alligators. Pp. 134–154 In J. M. Parrish, R. E. Molnar, P. J. Currie, and E. B. Koppelhus (eds.) Tyrannosaurid Paleobiology. Indiana University Press, Bloomington. • Snively, E. D., J. Cotton, R. C. Ridgely, and L. M. Witmer. 2013. Multibody dynamics model of head and neck function in Allosaurus (Dinosauria, Theropoda). Palaeontologia Electronica 16.2.11A. • Knoll, F., R. C. Ridgely, F. Ortega, J. L. Sanz, and L. M. Witmer. 2013. Neurocranial osteology and neuroanatomy of a Late Cretaceous titanosaurian sauropod from Spain (Ampelosaurus sp.). PLOS ONE 8(1): e54991. doi:10.1371/journal.pone.0054991. • Lautenschlager, S., E. J. Rayfield, Perle A., L. E. Zanno, and L. M. Witmer. 2012. The endocranial anatomy of Therizinosauria and its implications for sensory and cognitive function. PLOS ONE 7(12): e52289. doi:10.1371/journal.pone.0052289. Feature article in Perspectives magazine. 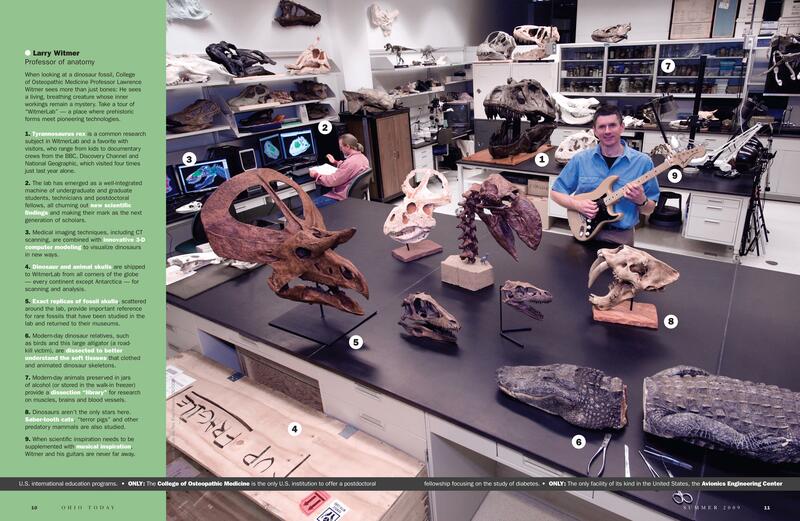 Ohio University's award-winning research magazine Perspectives ran a feature article entitled "Digital Dinosaurs" on Witmer and the latest research directions in WitmerLab (2012-11-29). • Read the whole Fall/Winter 2012 issue of Perspectives online or as a PDF. • Young, M. T., E. J. Rayfield, , C. M. Holliday, L. M. Witmer, D. J. Button, P. Upchurch, and P. M. Barrett. 2012. Cranial biomechanics of Diplodocus (Dinosauria, Sauropoda): testing hypotheses of feeding behaviour in an extinct megaherbivore. Naturwissenschaften.99:637–643. • Dilkes, D. W., J. R. Hutchinson, C. M. Holliday, and L. M. Witmer. 2012. Reconstructing the musculature of dinosaurs. Pp. 150–190 In M. K. Brett-Surman, T. R. Holtz, and J. O. Farlow (eds.) The Complete Dinosaur, 2nd Edition. Indiana University Press, Bloomington. WitmerLab doctoral students successfully leaped important hurdles! • Miyashita, T., V. M. Arbour, L. M. Witmer, and P. J. Currie. 2011. 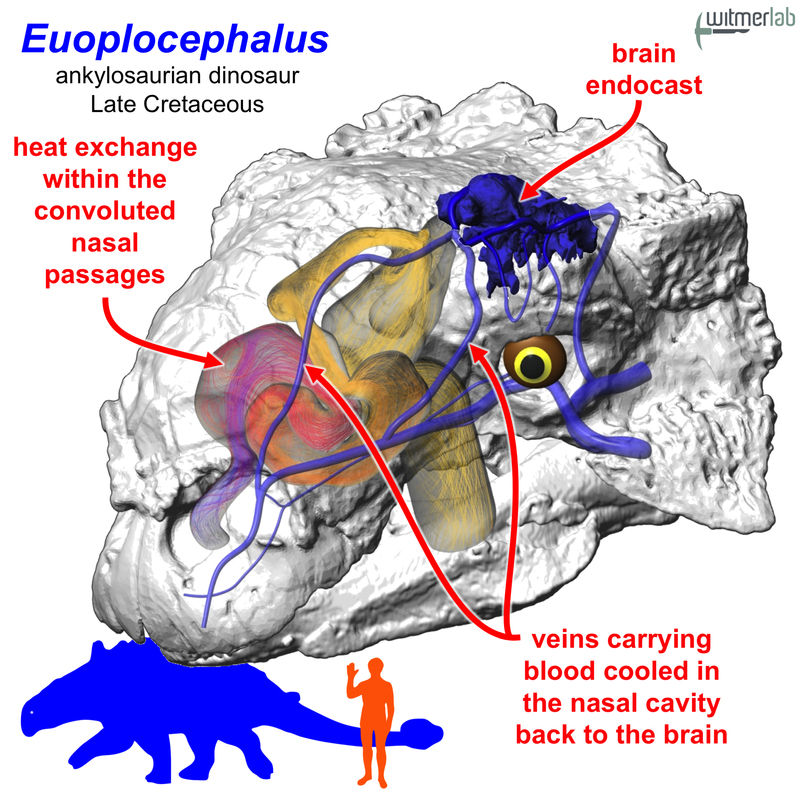 The internal cranial morphology of an armoured dinosaur Euoplocephalus corroborated by X-ray computed tomographic reconstruction. Journal of Anatomy 219:661–675. • Witmer, L. M. 2011. An icon knocked from its perch. Nature 475:458–459. • Read the blog post over at Pick and Scalpel that provides more context. 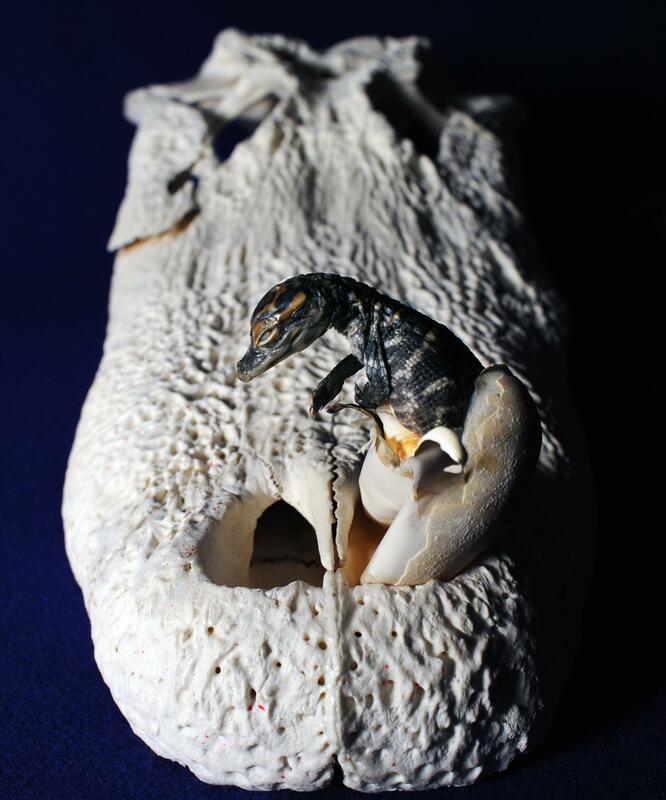 The Visible Interactive Alligator, an open-access, freely downloadable, collaborative resource for education and research from the WitmerLab at Ohio University and the Holliday Lab at the University of Missouri, launches. • Check out the blog post over at Pick and Scalpel that provides back story and technical details. Zelenitsky, D. K., F. Therrien, R. C. Ridgely, A. R. McGee, and L. M. Witmer. 2011. Evolution of olfaction in non-avian theropod dinosaurs and birds. Proceedings of the Royal Society B 278:3625–3634. Holliday, C. M., R. C. Ridgely, J. C. Sedlmayr, and L. M. Witmer. 2010. Cartilaginous epiphyses in extant archosaurs and their implications for reconstructing limb function in dinosaurs. PLoS ONE 5(9): e13120. Hieronymus, T. L. and L. M. Witmer. 2010. 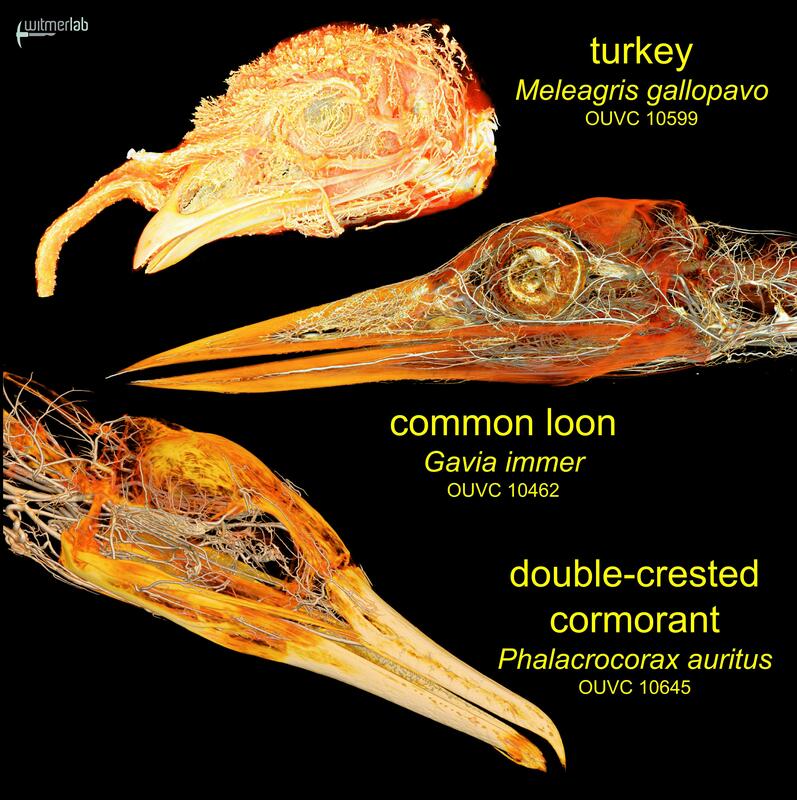 Homology and evolution of avian compound rhamphothecae. Auk 127:590–604. Abstract Abstracts – word clouds of WitmerLab articles. Check out our Facebook page album. • Witmer appeared on the first three of the four episodes and spoke about lab research on brain, inner ear, and airway structures and their implications for behavior and physiology, drawing on recent lab publications on sauropods, tyrannosaurs, hadrosaurs, and ankylosaurs. • Witmer, L. M. 2009. Palaeontology: feathered dinosaurs in a tangle. Nature 461:601–602. Holliday, C. M. and L. M. Witmer. 2009. The epipterygoid of crocodyliforms and its significance for the evolution of the orbitotemporal region of eusuchians. Journal of Vertebrate Paleontology 29:715–733. 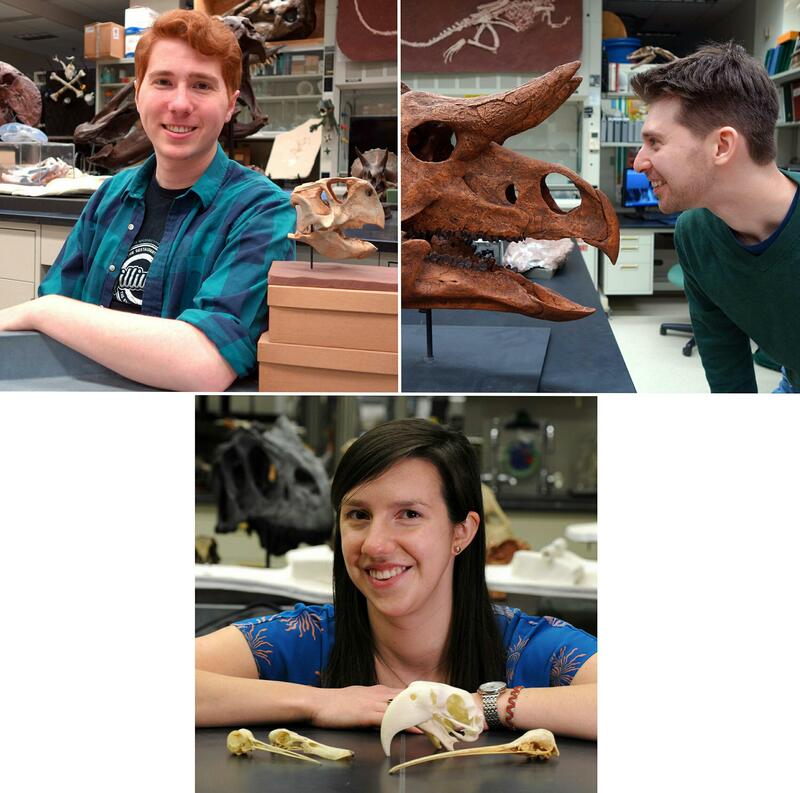 Four papers by current WitmerLab members and recent alumni were published in the latest issue of the Anatomical Record: "Special Issue: Unearthing the Anatomy of Dinosaurs" Available below are PDFs of the papers. Witmer, L. M. and R. C. Ridgely. 2009. New insights into the brain, braincase, and ear region of tyrannosaurs, with implications for sensory organization and behavior. Anatomical Record 292:1266–1296. Evans, D., L. M. Witmer, and R. C. Ridgely. 2009. Endocranial anatomy of lambeosaurine dinosaurs: a sensorineural perspective on cranial crest function. Anatomical Record 292:1315–1337. Hieronymus, T. L., L. M. Witmer, D. H. Tanke, and P. J. Currie. 2009. The facial integument of centrosaurine ceratopsids: morphological and histological correlates of novel skin structures. Anatomical Record 292:1370–1396. Holliday, C. M. 2009. New insights into dinosaur jaw muscle anatomy. Anatomical Record 292:1246–1265. Witmer, L. M., R. C. Ridgely, D. L. Dufeau, and M. C. Semones. 2008. 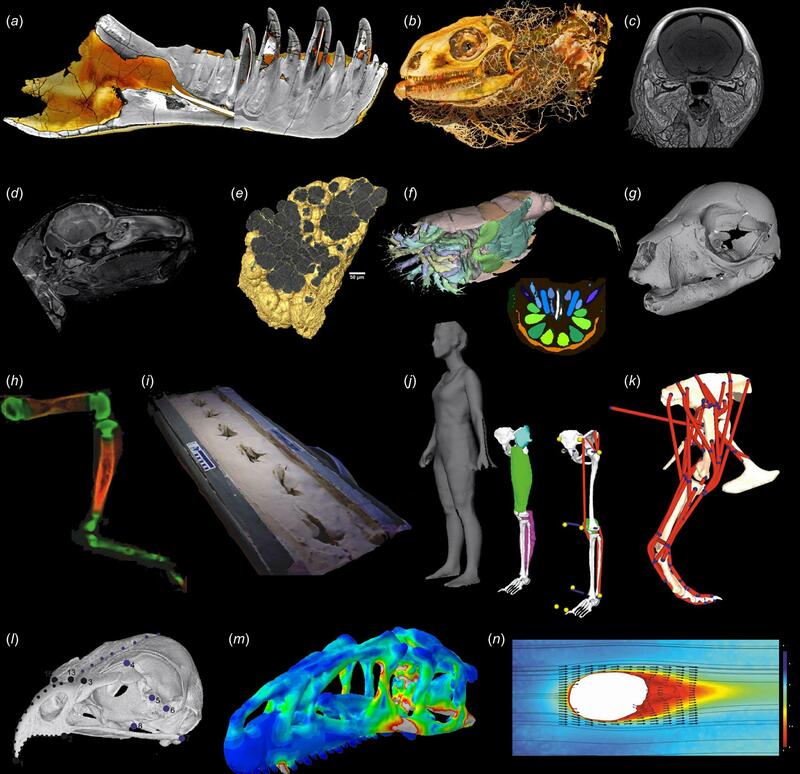 Using CT to peer into the past: 3D visualization of the brain and ear regions of birds, crocodiles, and nonavian dinosaurs. Pp. 67–88 in H. Endo and R. Frey (eds. 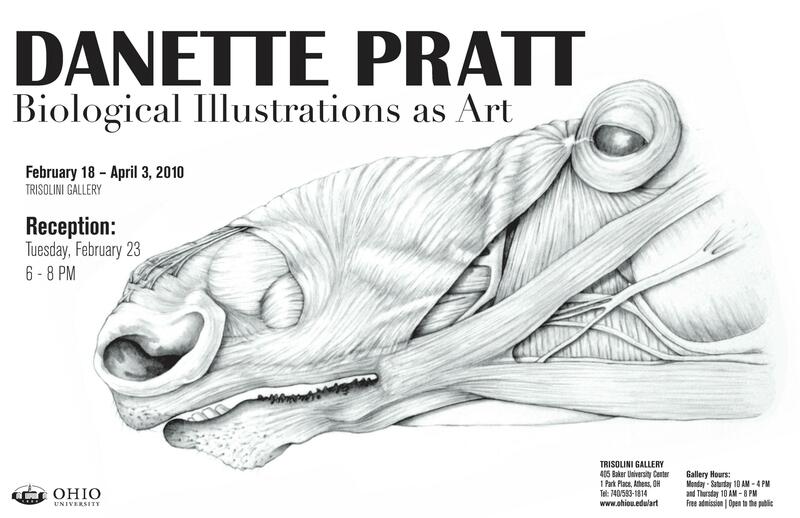 ), Anatomical Imaging: Towards a New Morphology. Springer-Verlag, Tokyo. • Witmer, L. M. 2009. Dinosaurs: Fuzzy origins for feathers. Nature 458:293–295. Article on the inner ears, hearing, & behavior appears in the Proceedings of the Royal Society B. • Walsh, S. A., P. M. Barrett, A. C. Milner, G. Manley, and L. M. Witmer. 2009. Inner ear anatomy is a proxy for deducing auditory capability and behaviour in reptiles and birds. Proceedings of the Royal Society B doi:10.1098/rspb.2008.1390. • Holliday, C. M. and L. M. Witmer. 2008. Cranial kinesis in dinosaurs: intracranial joints, protractor muscles, and their significance for cranial evolution and function in diapsids. Journal of Vertebrate Paleontology 28:1073–1088. • Witmer, L. M., and R. C. Ridgely. 2008. The paranasal air sinuses of predatory and armored dinosaurs (Archosauria: Theropoda and Ankylosauria) and their contribution to cephalic architecture. Anatomical Record 291:1362–1388. 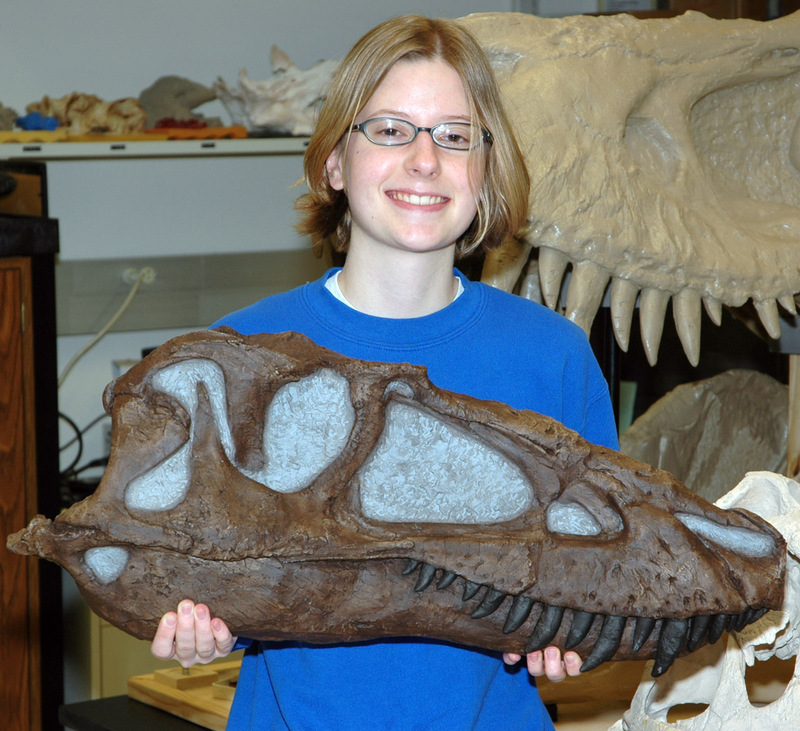 A talk at the Annual Meeting of the Society of Vertebrate Paleontology (SVP) in Cleveland, Ohio, was selected to be presented at the SVP press conference. Click the link below to go to a page created for the media and to view the conference abstract, images, 3D animations, and several news reports. • David Evans, Lawrence Witmer, Ryan Ridgely, John Horner. Endocranial anatomy of lambeosaurine dinosaurs: Implications for cranial crest function and evolution. • Witmer, L. M., and R. C. Ridgely. 2008. 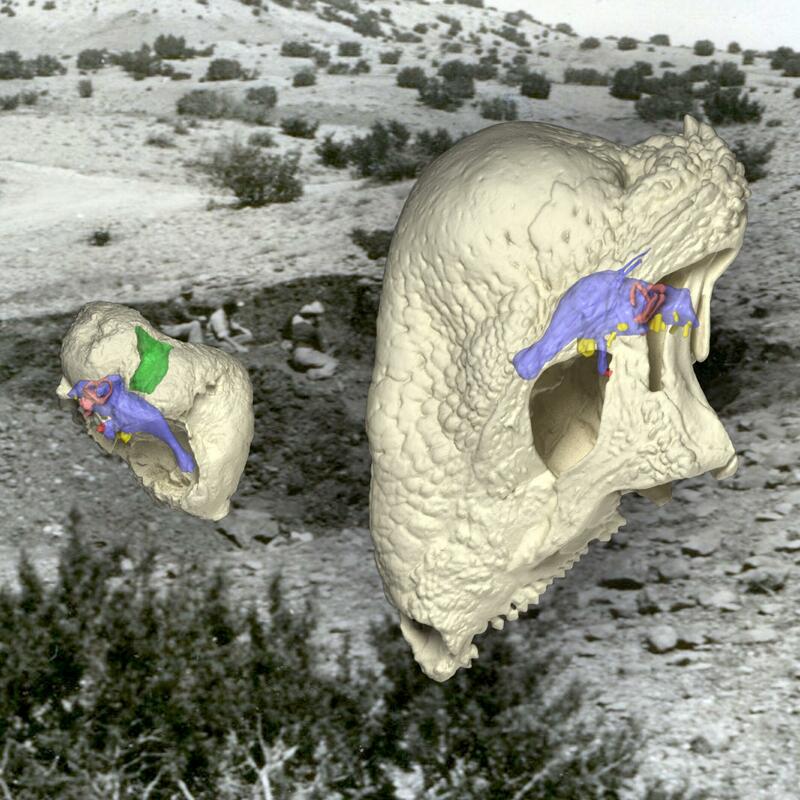 Structure of the brain cavity and inner ear of the centrosaurine ceratopsid Pachyrhinosaurus based on CT scanning and 3D visualization. Pp. 117–144 in P. J. Currie (ed. 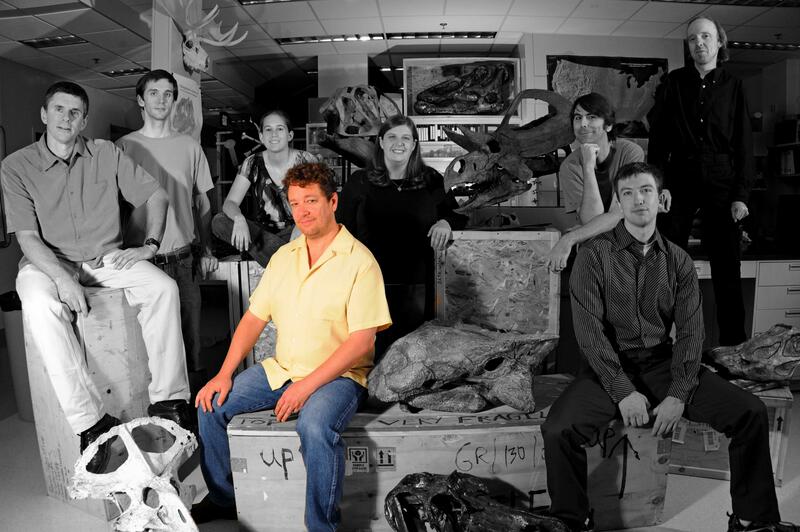 ), A New Horned Dinosaur From an Upper Cretaceous Bone Bed in Alberta. National Research Council Research Press, Ottawa. 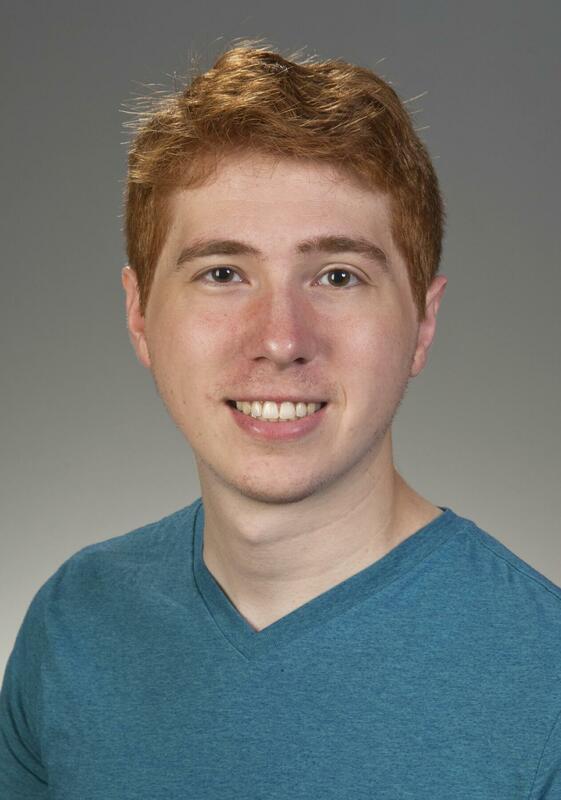 Tobin Hieronymus accepted a postdoctoral position at the Northeastern Ohio Universities College of Medicine in September. He will defend his dissertation here at OU later this fall (...so we're not ready to bid him farewell just yet, although we miss him already). • Tobin's new contact information: NEOUCOM, Department of Anatomy and Neurobiology, 4209 State Rt. 44, Rootstown, OH 44272; office phone: 330-325-6635; thieronymus@neoucom.edu (2008-10-01). • Visit the award-winning Virtual Pig Head website! • Hieronymus, T. L. 2008. Comparative anatomy and physiology of chemical senses in aquatic birds. 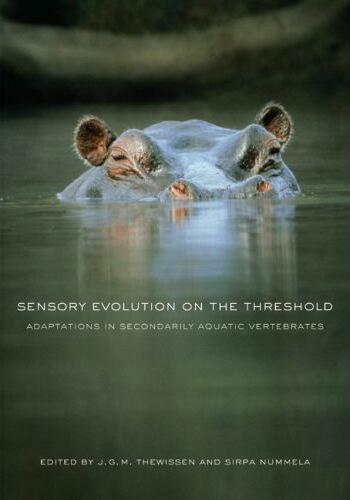 In: Thewissen, J.G.M., and S. Nummela (eds), Sensory Evolution on the Threshold, Adaptations in Secondarily Aquatic Vertebrates. University of California Press. • Thewissen, J. G. M., and T. L. Hieronymus. 2008. Evolutionary relationships of aquatic birds. In: Thewissen, J.G.M., and S. Nummela (eds), Sensory Evolution on the Threshold, Adaptations in Secondarily Aquatic Vertebrates. University of California Press. • Sereno, P. C., J. A. Wilson, L. M. Witmer, J. A. Whitlock, A. Maga, O. Ide, and T. A. Rowe. 2007. Structural extremes in a Cretaceous dinosaur. PLoS ONE 2(11): e1230. doi:10.1371/journal.pone.0001230. • Hieronymus, T. L. and L. M. Witmer. 2007. Turtle beaks, bird beaks, croc beaks? Parallel evolution of rhamphothecae in Sauropsida. Journal of Morphology 268(12):1083–1084. • Holliday, C. M. and L. M. Witmer. 2007. Cranial kinesis in dinosaurs: significance for functional inferences and evolution. Journal of Morphology 268(12):1085–1086. • Ridgely, R. C. and L. M. Witmer. 2007. 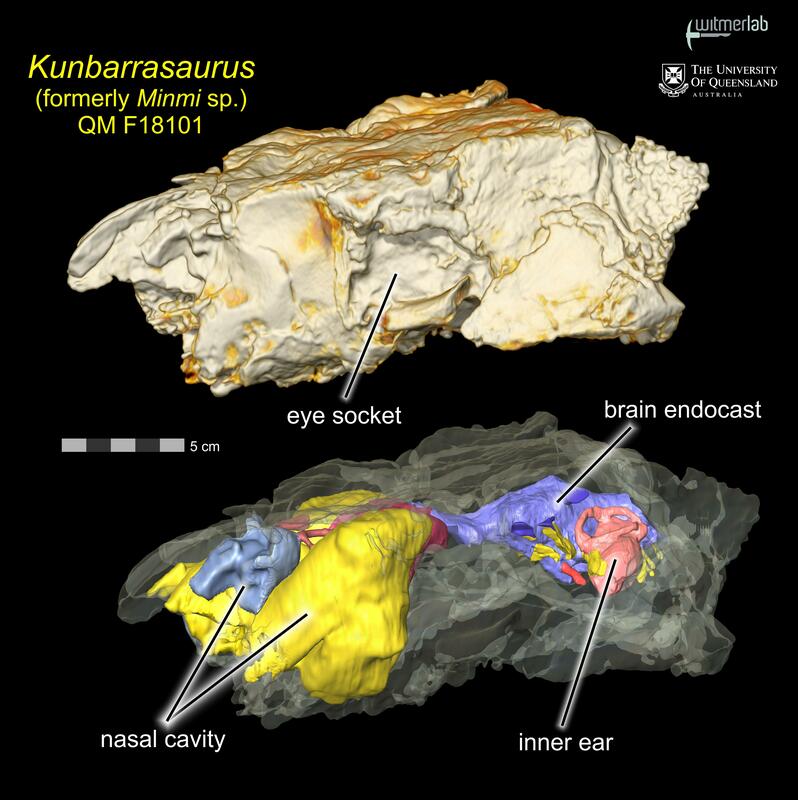 Gross Anatomical Brain Region Approximation (GABRA): a new technique for assessing brain structure in dinosaurs and other fossil archosaurs. Journal of Morphology 268(12):1124. • Tickhill, J. and L. M. Witmer. 2007. The Virtual Pig Head: digital imaging in cephalic anatomy. Journal of Morphology 268(12):1141. • Tsuihiji, T., M. Kearney, and O. Rieppel. 2007. Dissociation between the axial myology and osteology in the anterior precloacal region of limb-reduced squamates including snakes. Journal of Morphology 268(12):1142. • Witmer, L. M. and R. C. Ridgely. 2007. Evolving an on-board flight computer: brain, ears, and exaptation in the evolution of birds and other theropod dinosaurs. Journal of Morphology 268(12):1150. • Dufeau, D. L. and L. M. Witmer. 2007. Ontogeny and phylogeny of the tympanic pneumatic system of crocodyliform archosaurs. This abstract was somehow and regrettably omitted from the Journal of Morphology abstract volume. • Tsuihiji, T. 2007. Homologies of longissimus, iliocostalis, and hypaxial muscles in the anterior presacral region of extant Diapsida. Journal of Morphology. 268:986–1020. • Daniel, J. and L. M. Witmer. 2007. The role of soft tissues in sediment infilling and patterning: an actualistic study with ostrich heads. Journal of Vertebrate Paleontology 27(Supplement to 3):65A. • Dufeau, D. L. and L. M. Witmer. 2007. Ontogeny and phylogeny of the tympanic pneumatic system of crocodyliform archosaurs. Journal of Vertebrate Paleontology 27(Supplement to 3):70A. • Hieronymus, T. L. and L. M. Witmer. 2007. Skinning dinosaurs: bony correlates and patterns of cephalic skin evolution in Archosauria. Journal of Vertebrate Paleontology 27(Supplement to 3):89A. • Holliday, C. M. and L. M. Witmer. 2007. The epipterygoid of crocodyliforms and its significance in the evolution of the orbitotemporal region of eusuchians. Journal of Vertebrate Paleontology 27(Supplement to 3):90A. • Tsuihiji, T., M. Watabe, L. M. Witmer, T. Tsubamoto, K. Tsogtbaatar. 2007. A juvenile skeleton of Tarbosaurus with a nearly complete skull and its implications for ontogenetic change in tyrannosaurids. Journal of Vertebrate Paleontology 27(Supplement to 3):160A. • Visit the Virtual Pig Head website! Newly available PDFs of older but often requested papers. All are fully searchable, and some have had better versions of the original illustrations inserted. 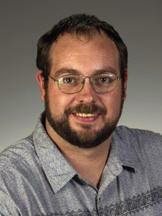 Perspectives (Nov. 2012) featured the latest research directions in the WitmerLab. note: Research in the Witmer lab does not involve experimentation on live animals. Specimens of modern animals used in research are salvage specimens, obtained legally from commercial or governmental sources.